Please note: Huggie earrings sold separately. 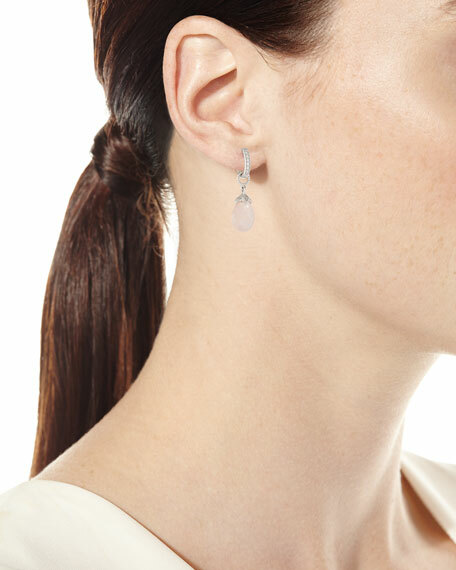 JudeFrances Jewelry dangle & drop earring charms from the Lisse Collection. 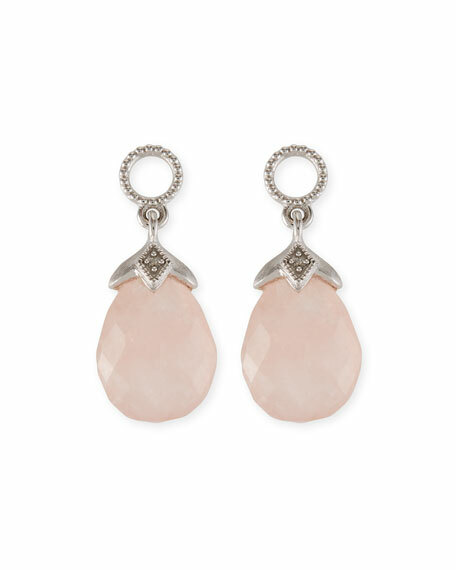 Set of two charms (earrings not included). 18-karat yellow gold with signature brushed and polished finishes. 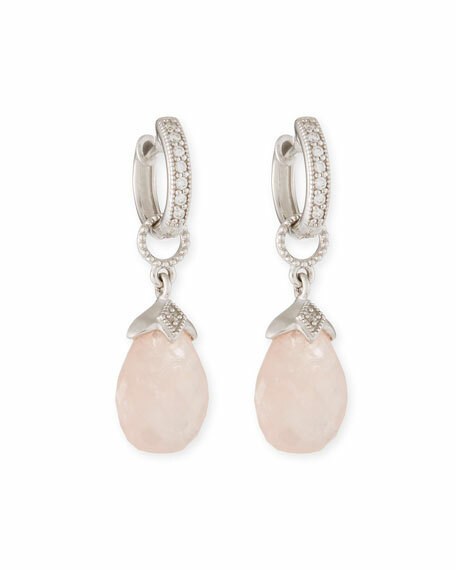 Pear-shaped morganite briolette dangles from pointed setting. Simple signature diamond kite top accent. 0.01 total diamond carat weight. Huggie earrings, shown, are sold separately. For in-store inquiries, use sku #2408184.